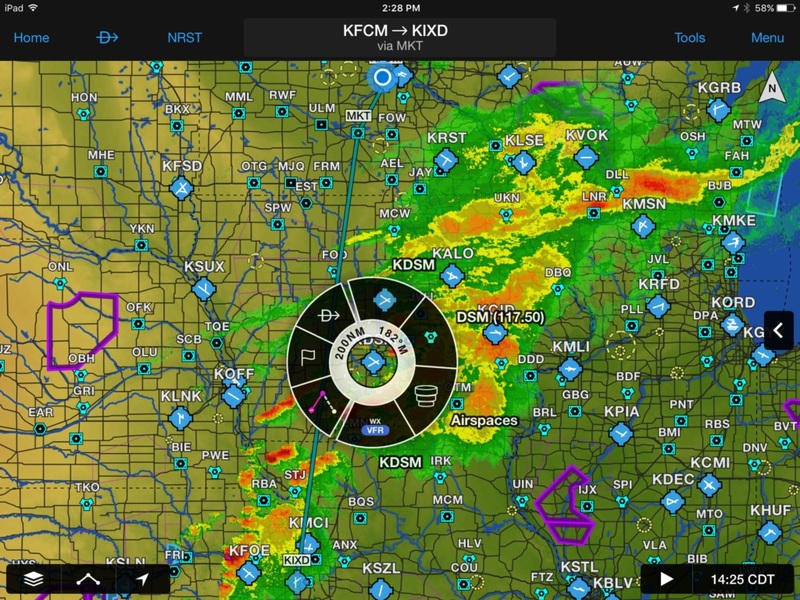 5 Popular Garmin Pilot Features | Avionics Blog – Avionics to the Max! Maxcraft thinks you should know these Garmin Pilot features. These are the 5 top features that we think will make you want to try the Garmin Pilot. 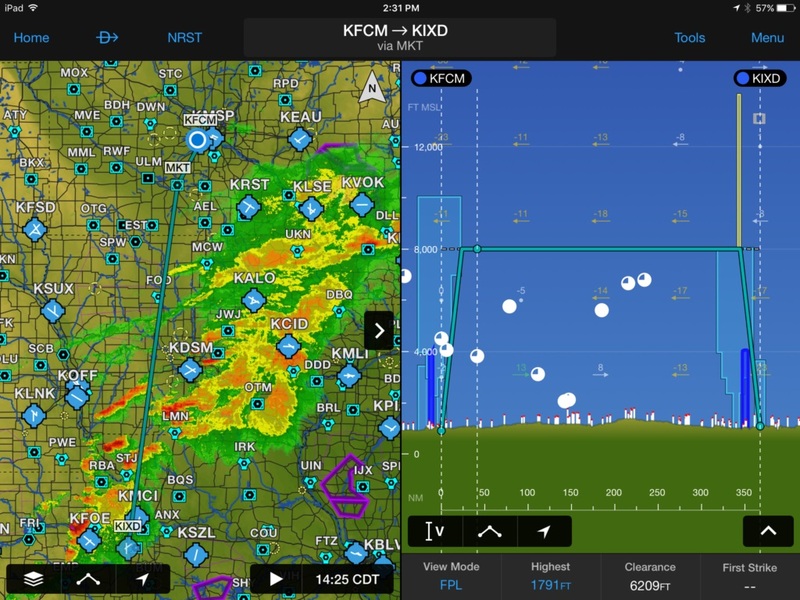 Flight Profile View: One of Garmin Pilot’s newest features, the Flight Profile View, provides pilots with a vertical profile of the flight path. In this mode, Garmin Pilot displays airspace, METARs, winds aloft, as well as water and traffic when connected to a GDL 39, Flight Stream or GTX 345 all-in-one ADS-B transponder. We’re used to seeing what our flight path looks like from above, but with Flight Profile View now you can see it from an entirely new perspective. Flight Profile View is only available on iOS compatible devices. NavTrack: With the NavTrack feature in Garmin Pilot, pilots can scroll along their route of flight to get weather and airport information. 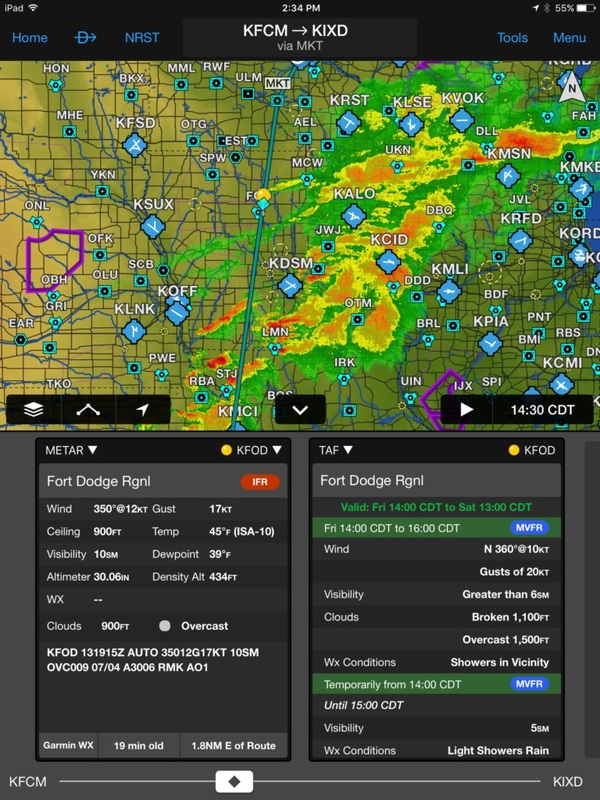 As the cursor is advanced along the flight path, METARs and TAFs for local airports are displayed to provide the latest current and future information for area airports. Logbook: Quite possibly one of the most popular features in Garmin Pilot, especially to those of us who forget to put pen to paper after every flight. Garmin Pilot’s logbook feature takes the guesswork out of figuring out flight time by automatically generating flights. Logbook also incorporates reporting features to keep track of currency and aircraft/type time, as well as an electronic way to record endorsements. 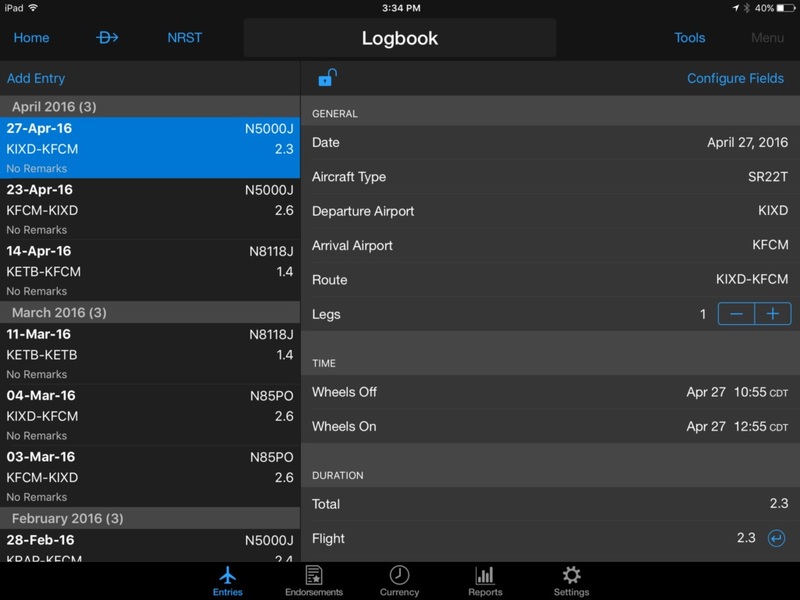 Logbook is only available on compatible iOS tablets, but is coming to Android soon! Radial Menu: With Garmin Pilot’s Radial Menu feature, getting information about an airport, waypoint, airspace, weather and more is only one touch away. Simply tap a symbol on the map, and a circular menu will pop up with options to advance for more information. Rich, Interactive Maps: Garmin Pilot would not be what it is without its broad stable of colorful, informative maps. With everything from the classic VFR and IFR chart options, to our rich dynamic maps, you will have access to an incredible amount of information that until recent times, could only be found on paper and in books. 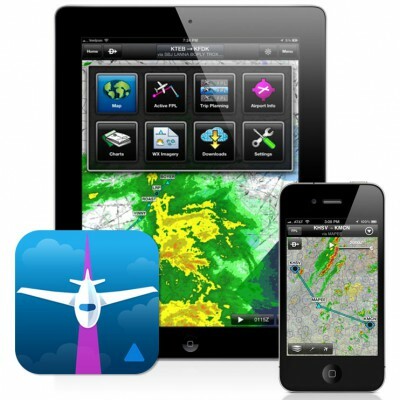 If you don’t already fly with Garmin Pilot, try it here with a free 30-day trial on the App Store and Google Play Store. This entry was posted in Avionics News and tagged ADS-B, airplane, Canada, efis, Flight Instruments, Flight Profile view, Flight Stream, Garmin Pilot, GDL39, glass cockpit, GPS, GTX345, Helicopter, IFR, logbook, Maxcraft Avionics, METARs, NavTrack, Radial Menu, TAFs, tcas, VFR, VHF Radio. Bookmark the permalink.